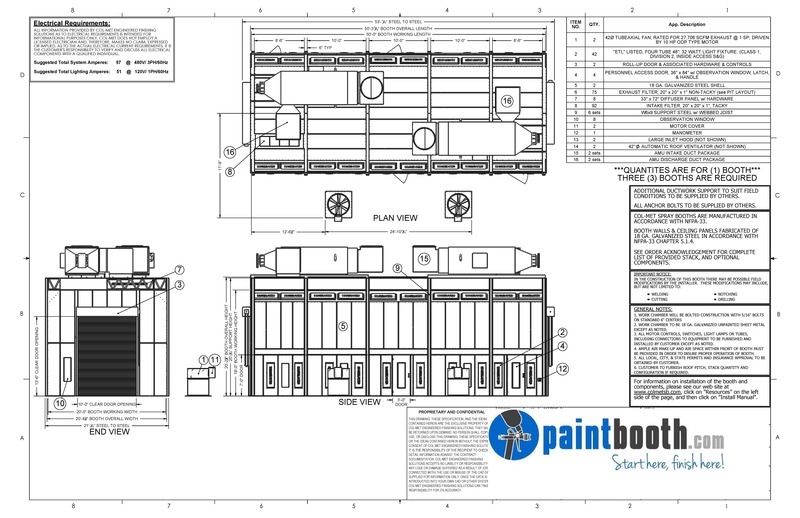 Truck and Large Equipment full down draft paint booths are by far the most popular booths among large equipment, heavy equipment, RV dealers and truck refinishers and manufacturers. In this model the entire ceiling of the cabin is filtered with quality diffusion media. This insures only the cleanest air in the cabin. 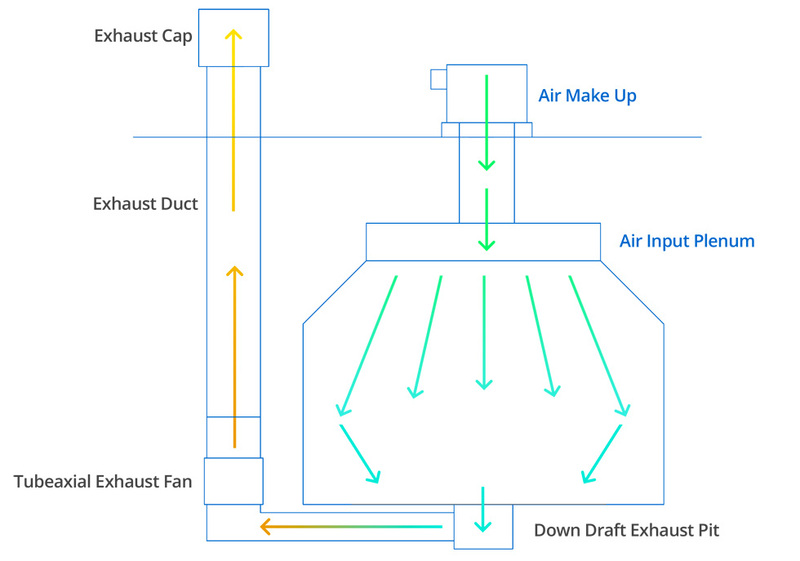 The air enters from ceiling intake filters and is drawn straight down around the parts being painted then through a set of filters under the floor grating where the overspray is trapped and the filtered air exits into the atmosphere. This process is efficient for overspray control that reduces prep time and provides for a superior work environment. As a standard, all our Truck and Large Equipment Full Down Draft Paint booth styles are equipped with a pre-filtered plenum. As an option, we can pressurize the intake plenum with an ambient air fan or air heated air replacement unit depending on your specific application or requirements. Be sure to check out the options tab below for more available options. 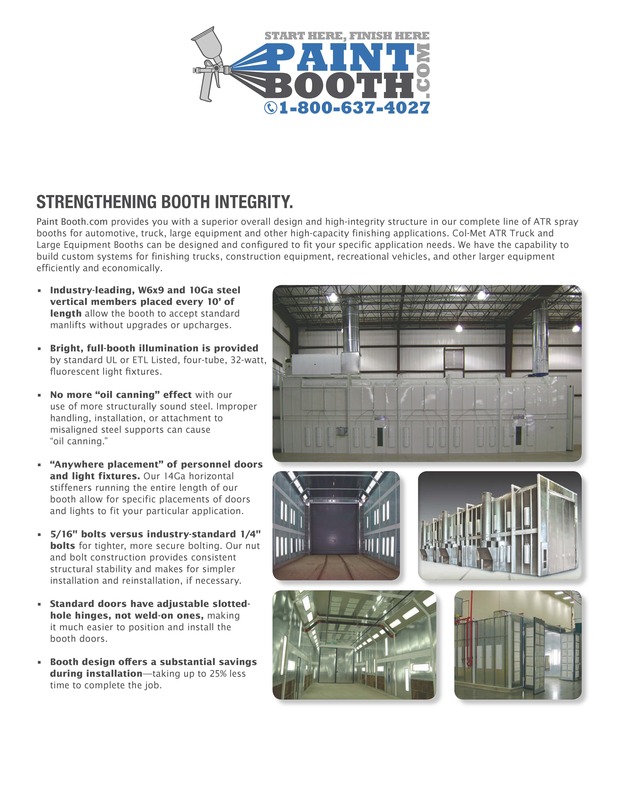 Our standard modified down draft truck and large equipment booths are built with W8X10 I-beam construction. We do not offer a light duty design like others in the market place today. The cost savings is not worth the lapse in HD construction and quality. These booths are offered in many standard sizes but can also be customized to meet your needs. 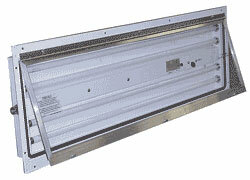 They are available in pressurized, non-pressurized, reverse flow, solid back and drive thru models. 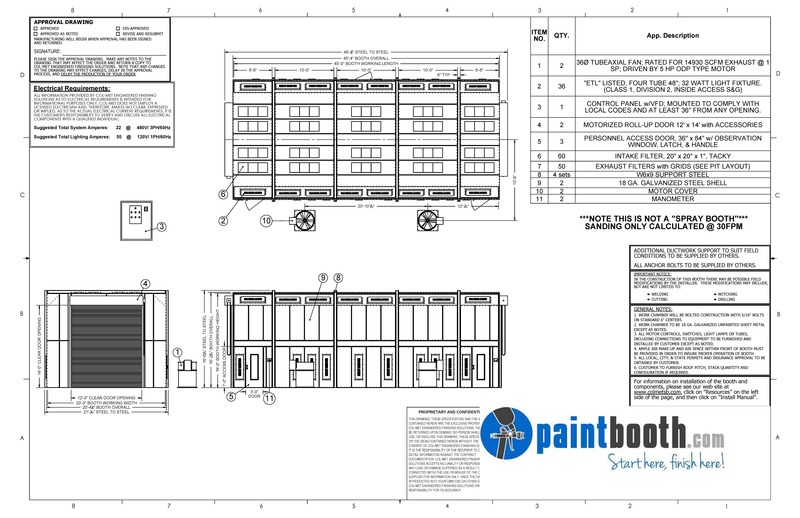 We also have double wall insulated Truck & Large Equipment booths available in all models. These booths are constructed with HD I beams and two layers of 20-gauge pre-coated sheet metal. 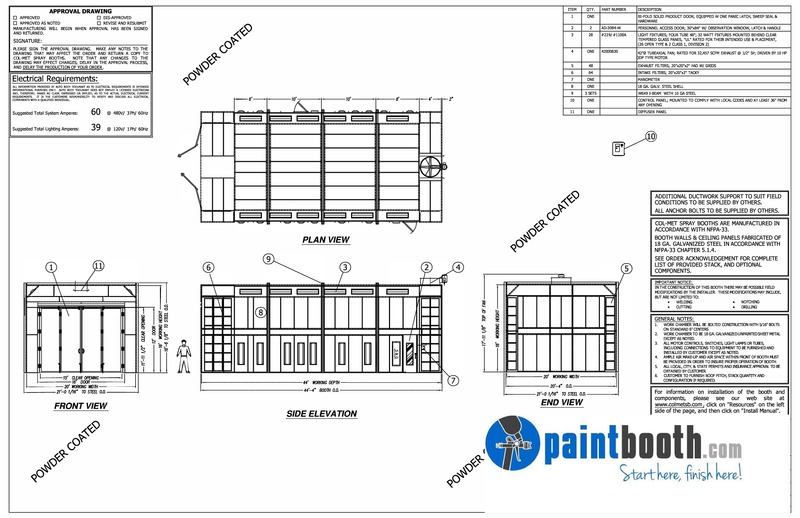 Our factory trained installation crew can get your new Truck and Large Equipment Full Downdraft Paint Booth installed correctly and quickly.